Scoliosis is an abnormal lateral curve in the spine often times presenting in a C or S shape. 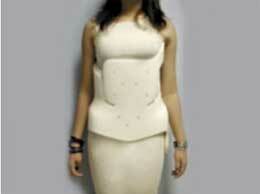 It may result in the head to appear off center, the trunk and shoulders to lean, or appear that the hips are uneven. In addition, the bones of the spine twist on each other, forming a rotational component which often is seen on the side of the rib cage. In severe cases of Scoliosis, it is more difficult for the heart and lungs to work properly with resultant shortness of breath and chest pain. 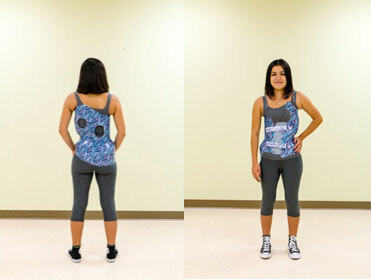 Scoliosis is treated by observation, bracing, or surgery. The treatment pursued is dependent on the severity of the curve and the potential to progress. Scoliosis is about two times more common in girls than boys. It can be seen at any age, but it is most common in those just over 10 years of age. Diagnosis is done by physical exam and by imaging techniques such as X-rays, CT scans, or MRI. There is no cure for Scoliosis, but the symptoms can be reduced. There are 4 Types of Scoliosis which are based on the cause and age when the curve develops; however, the majority of patients have no known cause. 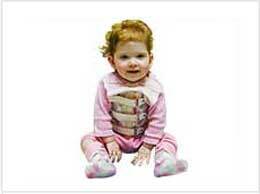 0-3 years old: Infantile Idiopathic Scoliosis. With longer growth time remaining, the chance for needing more aggressive treatment or surgery increases as the curvature deformity begins early in development. 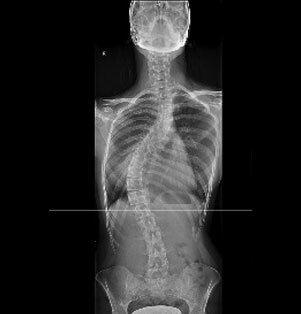 10-18 years old: Adolescent Idiopathic Scoliosis. 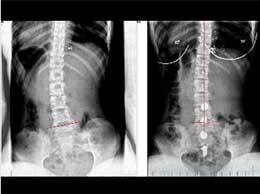 Most common form of Scoliosis. It is treated when the curvature angles begin to increase to about 20-25 degrees. Scoliosis is from another source or part of the body such as a leg length discrepancy (LLD). If one leg is significantly shorter, this can cause the pelvis to tilt and result in lumbar scoliosis. Scoliosis from weak muscles as a result from an abnormality of the spine often times involving other disorders or diagnoses. Scoliosis in older adults due to structural changes of the spine resulting from a combination of aging tissues with postural imbalance and progressive arthritis. Treatment of scoliosis is based on the age when it develops, the severity of the curve, and the chances of the curve progressing. Certain types of scoliosis have a greater chance of getting worse, so the type of scoliosis also helps to determine the proper treatment. There are three main forms of treatment: observation, bracing, and surgery. 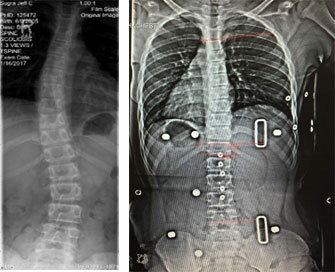 Typically custom TLSOs are braces used to prevent progression of scoliosis while the user is finishing skeletal growth. If the curve stays below 40 degrees until growth is finished, then progression is unlikely. However, for curves greater than 40 degrees, it is likely to continue to get worse as a long-term effect of the disease. There is no cure for scoliosis, but the symptoms may be reduced. The Certified Orthotist will measure and design the brace using digital precision and biomechanical principles to ensure function. The materials selected and features will be dependent on the type of scoliosis brace prescribed and the type of curve present. 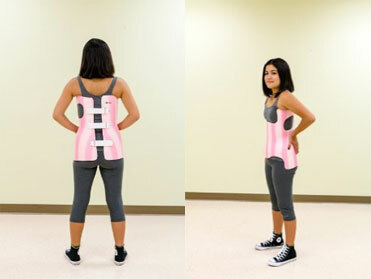 A scoliosis brace will have corrective forces in order to reduce the curves while wearing the brace in order to prevent the deformity from worsening. 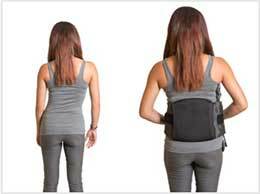 There are several different types of braces available for scoliosis. Some worn approximately 20 hours a day and are removed only for showering, while others are worn only at night. The ability of a brace to provide effective treatment depends on the amount of time it is worn daily. The Certified Orthotist provides a TLSO to minimize the curvature & improve postural balance. The Orthotist is also able to adjust the brace as discomfort may be a side effect of treating a spinal curvature until the wearer has become accustomed to the correction. Most common types of TLSOs for Adolescent Idiopathic Scoliosis are posterior opening, bending, and anterior opening.